Having already dispelled my original pre-conceptions of reasonably-priced pocket walking books, the next in the Top 10 Walks series from Northern Eye Books is most welcome dropping on the doormat. “If it ain't broke, don't fix it” is that well-worn adage, and it is certainly true with the format of this books. Bright and colourful, with a good number of excellent photographs and a modern, airy feel to the design is what the Top 10 Walks series is all about. Have a look at my review of Pub Walks: Walks to Cumbria's Best Pubs. 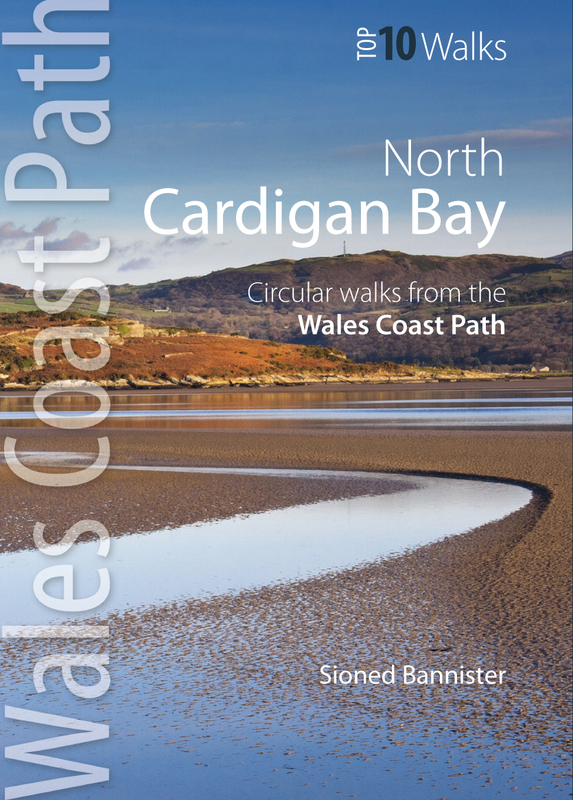 This book is part of a growing sub-series focused on circular walks along different parts of the Wales Coast Path. The Path opened in May 2012 – here’s our podcast with a feature about the opening – and stretches 870 miles from the outskirts of Chester in the north to Chepstow in the south. Great play was made in the path’s first year of Wales being “the only country in the world with a path around its entire coast” – and indeed this book mentions this too. The PR guys at the time seemingly forgot about the Isle of Man having the Raad ny Foillan coast path since 1986… I’ll forgive the book including this line, as it was generally used at the time, but it’s interesting to note the official PR line now is “the longest continuous coastal path around a country.” – which is perfectly true. 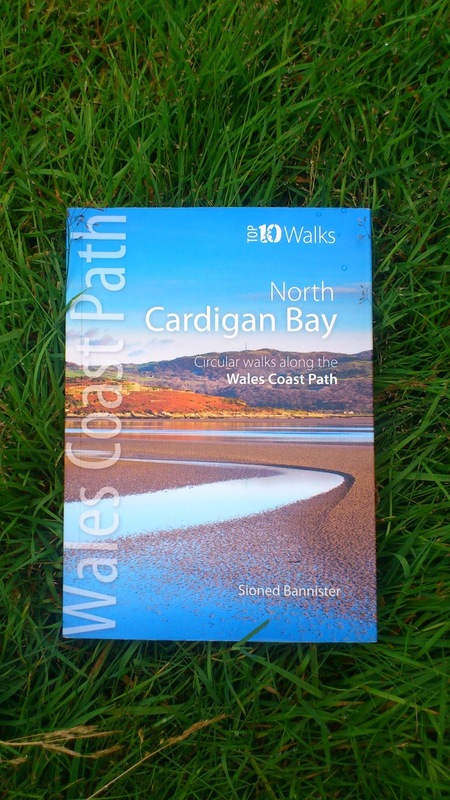 This particular book is focused on the north part of Cardigan Bay and feature 10 walks which include a section along the Wales Coast Path and then via off to take in a special place, and then return back to the start. 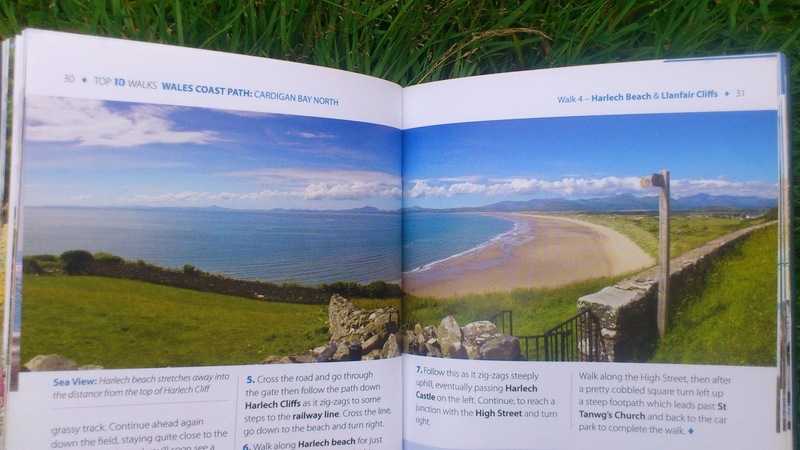 Who better to choose 10 top walks in the area than Sioned Bannister. Sioned hails from these parts, and has picked a collection of varied and interesting walks from the coast path, from Porthmadog in the north of the area to Borth in the south. 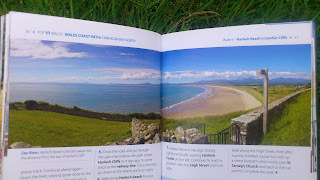 All of the walks have a shout to be included in the book, but I have a couple of particular favourites. 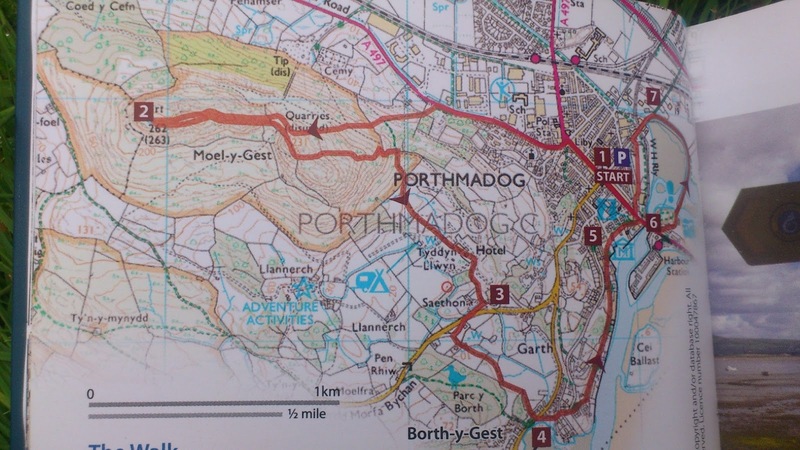 First is the Porthmadog route to summit of the hill which dominates the port – Moel-y-Gest. Porthmadog is very familiar to me as it was one of the places we used to visit on the annual family holiday to North Wales when I was a child. It’s also a place to go now as a mid point of two spectacular narrow gauge steam railways – so there’s lots of reasons to visit. From the summit, the walk offers a fantastic view of the port of Porthmadog – named after William Alexander Madocks and his attempt to command the route between the newly joined capital cities of London and Dublin in the early 1800s. 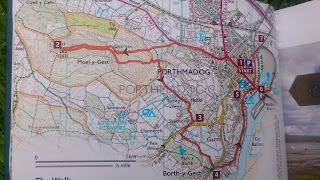 The second of my favourite walks in the book is actually from Porthmadog again… but this time to the Italianate village of Portmeirion, the brainchild of Welsh architect Clough Williams-Ellis. Beautiful images are liberally sprinkled throughout the book. 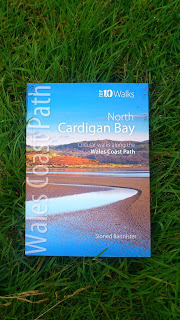 My last favourite from the book is the walk from Borth and along the Cardigan Bay part of the coast path and back into farmland for a contrast. This is particular of interest as at low tide the remains of an ancient submerged forest is revealed. This is from the ancient kingdom known locally as Cantre’r Gwaelod – which some of your “Coast” fanatics will remember for the 4th programme of the very first series. 10 walks in a bright, colourful and detailed book – complete with proper OS mapping which means you don't really need a separate map – all for £4.99. It’s a real bargain, and although you can buy apps for your smartphone for less, they don't really have the detailed route descriptions or the beautiful photography this book does. 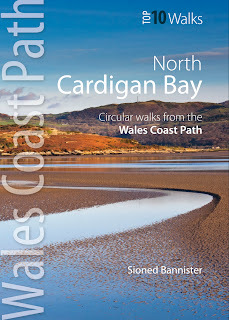 If you're in the market for 10 short walks in the Cardigan Bay area, then this is the book for you. published by Northern Eye Books. Order it now online from Amazon here or from the Northern Eye website here.